Online MBA Report spoke with Joy R. Humphreys at Murray State University, and learned how Murray State caters to working students, who come from a range of backgrounds (not just undergraduate business majors). Murray State offers a large option of 100% online concentrations, and will be launching a health care admin concentration in Spring of 2019. 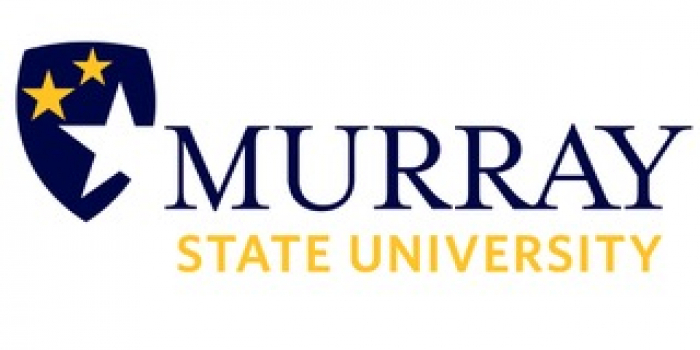 Murray State was an early adopter of online teaching, and emphasizes smaller classes and a personal intimate program to ensure individualized attention. The typical Murray State online MBA student is not unlike most other online MBA students demographically; however, I would argue that the Murray State MBA has a high percentage of students who did not get their bachelor’s degree in business. Most have full- or part-time employment in a variety of fields and most have some sort of family obligation, from caring for their children and spouse to elder care. However, many liberal arts, communications, and engineering graduates are attracted to the MSU online MBA because of the huge amount of 100% online concentrations, including business analytics, economic development, finance, HR management, marketing, and global communications. We also will have a healthcare administration concentration available in Spring 2019. Students are not required to spend any time on campus at all. However, with that said, Murray State University has a beautiful campus, and you are always welcome to come visit! I would highly encourage MBA graduates to come for their graduation ceremony—a ceremony that is only for graduating master’s degree students. Murray State has an average class size of 15 students: Do students work as a cohort or in another way? Murray State does have small class sizes; however, we do not have a cohort program. We want students to have a different peer experience in every class and do not lock students into teams with the same groups of students redundantly. Since teams are king in the business world, student teams work on course projects in almost every course. Class composition varies with every class as international students and other diversity factors are present and change with every course students take. How do students in the online MBA program interact with faculty? Murray State emphasizes 3 areas of focus: teaching, conducting research and scholarship and service. How do online MBA students participate in those 3 areas of focus? Murray State teachers are some of the best I’ve known. They go out of their way to craft affordable MBA courses that mimic real workplace problems. Simulations and other tools are common in the online MBA, which emphasize the scholarship and service that professors do to keep current. MBA students also have an opportunity to become involved with scholarship and service with a “Special Problems” course available for elective credit where they work with a professor on research or a practical project. Murray State has offered your online MBA since 2005 and was an early adopter to this type of program. How is this an advantage to students versus other programs? As one of the first adopters of an online MBA in 2005, MSU has more experience than most MBA programs with online learning. In our past, we have been the largest online MBA program in Kentucky as well, but over the last recent years we decided to focus more on small course sizes. Many of the MSU professors who began teaching in the MBA in 2005 online are still MBA instructors at MSU. These professors are excellent at using their online experiences while reaching out for innovative and new ways of online delivery. We of course are AACSB accredited, and have maintained that distinction with our MBA since 1981. The online MBA is assessed as our on campus program is assessed to maintain quality. AACSB means quality, and our professors all have Ph.D.s and are full-time instructors. No adjuncts teach in the MSU MBA program. Professors do a good amount of research and service to society as a whole with their expertise. The Murray State MBA continues to evolve to match what employers want. In the past two years, we have begun GRE/GMAT waivers for students who have proved themselves in another realm than a few-hour standardized exam, utilized a faster method for students to obtain MBA foundations courses at their convenience based upon background, and are now structuring the Spring 2019 program into 8-week online courses as opposed to 16-week courses. As MBA Director and Assistant Dean, I also offer tons of advice to students about courses every time they enroll in their semester courses so I can assure they get the courses they need to reach their dream careers. We do offer an excellent Career Services office that uses a new software, Handshake, to match employers to jobs. Handshake just launched in June 2018, and hundreds of employers have registered with us. Also, as MBA Director, I reach out to students when an employer approaches me personally for student recommendations. That is certainly an aspect you won’t get in many large MBA programs. The online MBA program is 10 courses (30 hours). Most of our students work full-time and complete the program within 1.5 years by taking 2 courses every semester and summer. However, we have all arrangements on pace. For example, some students only take one course per semester mostly because some employers will only give a certain level of yearly tuition reimbursement. Advice I would give to a prospective Murray State MBA student is don’t wait. Classes have started for August, but we have a second-half semester course in marketing that begins in October 2018. Also, don’t sweat the entrance exams… MSU does give GRE/GMAT admissions exam waivers to a certain population of student. Please contact me! Let’s chat and see where you need to start. You will love the personal attention that the Murray State MBA will provide… not to mention that outstanding rate that MSU MBAs receive promotions and recognition in their careers. Thanks to Joy R. Humphreys for participating. For more interviews, check out our Online MBA Report Interview Series.